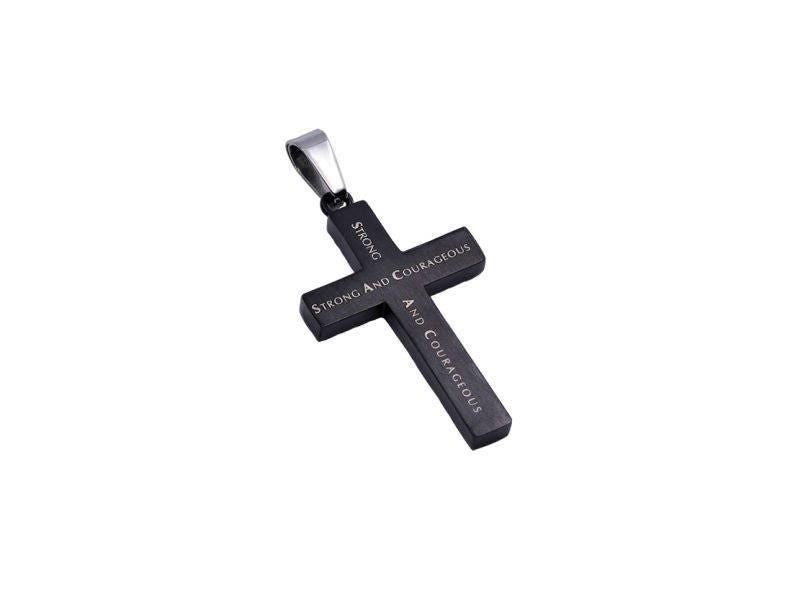 Stainless Steel black double sided cross. Front side has diamond back engraved pattern with high polished bottom tab reading “JOSH. 1:9” referance. Back side laser engraved message reads, “Strong And Courageous". Cross size 1” x 1 1/2”. 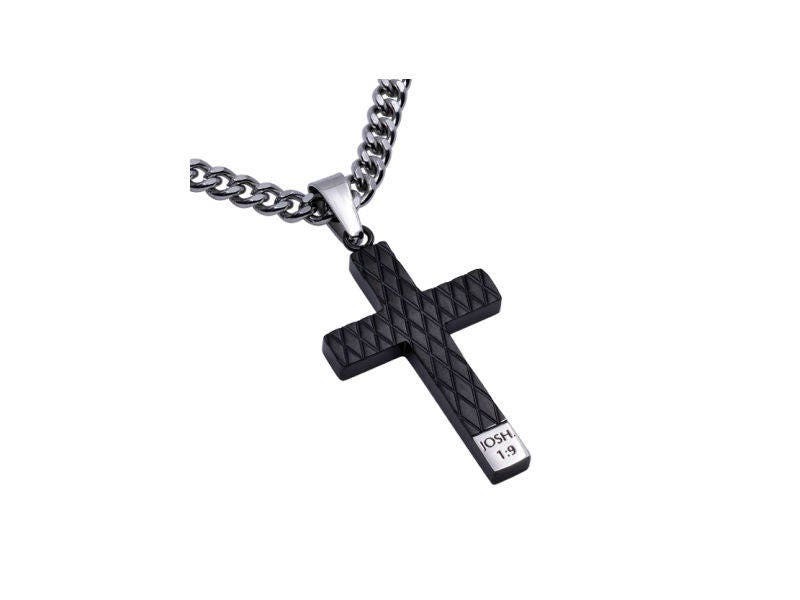 Includes upgraded 316L Stainless Steel 20"Stainless Steel Curb Chain with lobster clasp. Free Shipping. Visit Rapturewear.com for more Verse Choices and other items.